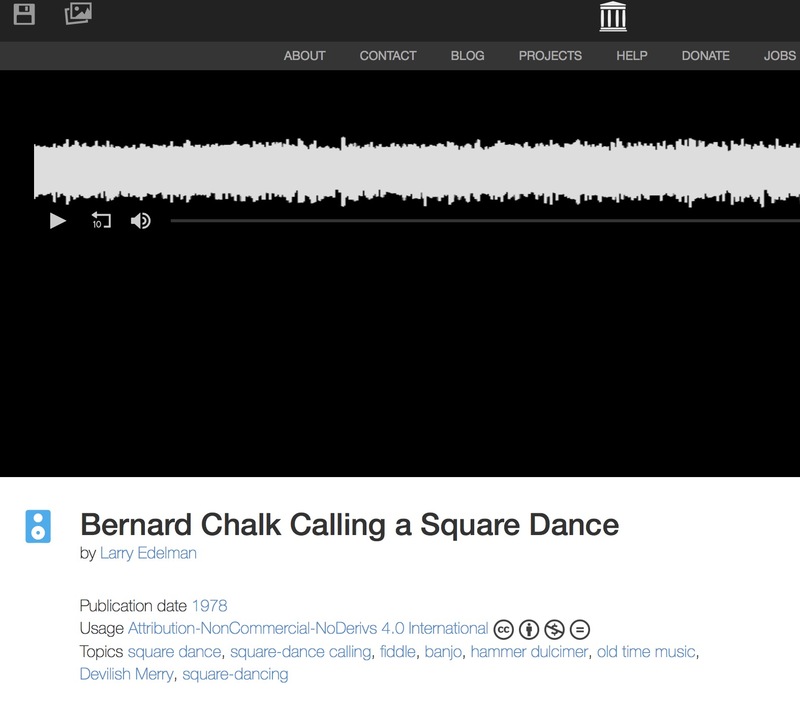 Larry Edelman writes: "I recorded this file in 1978 or 1979 when British square dance caller Bernard (Bernie) Chalk was visiting me in Pittsburgh, Pennsylvania and leading a square dance accompanied by the Pittsburgh-based band Devilish Merry. Bernie was a great patter caller who called actively from the 1950s until the following century. Even though he was from England, Bernie had a vast knowledge of traditional American square dancing and folk music and always shared great material. Bernie visited the U.S. frequently over the years, often promising to purchase a house and settle here. 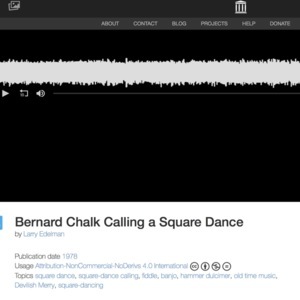 Bernie passed away in London on June 14, 2013 and he is sorely missed by his many friends throughout the U.S."
Bernie Chalk, “Bernard Chalk Calling a Square Dance,” Square Dance History Project, accessed April 19, 2019, http://squaredancehistory.com/items/show/1853.